Business training and community savings empower young mothers like Dor in South Sudan to become self-reliant. Five Talents helps group members like those in a recent study “put their money to work” when more traditional financial institutions are unavailable or their fees are too high. Miles from water, a community group saves to set up wells and water tanks. 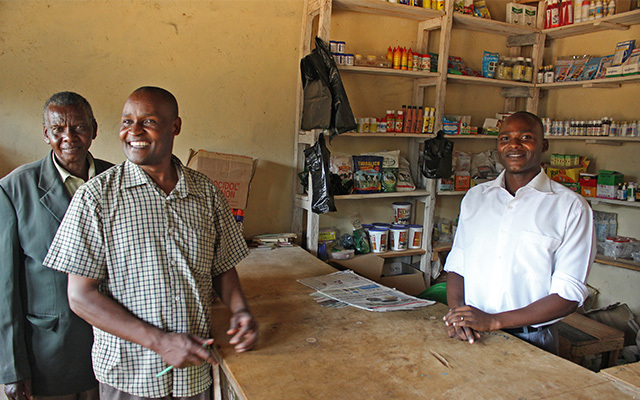 A credit-cooperative in Uganda is transforming the local economy by empowering poor families as well as local schools. The Mama Bahati Foundation opens a new branch offering microfinance services in Ifupila, Tanznia. Juba has long been a trading post, a river port along the White Nile, drawing traders from Egypt and across Eastern Africa. Trade continues to grow across South Sudan with small scale entrepreneurs opening new markets and opportunities. Five Talents Kenya is one of the most successful microfinance programs in Eastern Africa, serving the rural poor with over 99% repayment on loans and rapidly growing portfolios. I recently returned from an incredible trip to Kenya. The purposes of the trip were to participate in the launch of Five Talents Kenya, to hold our regular Five Talents International Board Meeting, and to see the progress made in our programs (specifically our Kenyan programs) to date. We participated in a number of meetings and celebrations, but the highlight of the trip came when we were able to visit clients on their home ground and see the amazing transformation that has occurred in the lives of the people touched by this ministry. Monday, March 7 was our first "official" day, and was taken up by our FTI board meeting, where we reviewed the progress of our programs world-wide, with a particular emphasis on our African programs. Although our programs are strong, we continue to be concerned about our ability to keep functioning in conflict areas, especially in Burundi and South Sudan. That said, it continues to be a source of great inspiration to see how our clients are able to keep operations running in the face of such hardships. As the Bishop of Juba told our Program Director, "Your friends come and visit when you are sick." On Tuesday, we celebrated the launching of Five Talents Kenya, in a ceremony attended by five Kenyan bishops and an enthusiastic crowd. It was more of a worship service than a business meeting, and reflected our hopes for a bright future for FTK. The highlight of the day, however, was our visit to "the field" that afternoon. We were able to see the Thungururu Community Bank in operation, and were able to meet Monica, a Five Talents client who used a small (approximately $50) loan to develop a thriving petrol station. We learned that there are now over 40 small businesses operating in the community! On Wednesday, we travelled to two separate locations to see possibilities for additional expansion. My team went to Mbeere Diocese, where we learned that they are already starting savings groups in anticipation of Five Talents, and have over 8000 people lined up! Their drive is amazing! Our group had the easier day, as we only had to drive for two hours over some really bumpy dirt roads to get to our meetings. It is easy to forget how challenging the logistics can be in this part of the world! A personal highlight for me was the opportunity to meet with a young man by the name of Robert Martin. He introduced himself to me, and reminded me that he attended a seminar that I taught in 2012 on business, which emphasized Christian business principles. He is a teacher, and now has a thriving poultry business as well. In addition, he serves as the chairman of the board for the Community Bank! He credits us with giving him the skills and inspiration to start his business. Although I think he gives us too much credit, it is indeed inspiring to see what he has done with a little training and a lot of ambition! Once again, I came away in awe of these people, and what they can do with just a little assistance from us, coupled with their own innate dignity and drive. It is a humbling experience to be a small part of this ministry! Jim Oakes serves as a Board Chair of Five Talents USA. Photos by Joe Paulini for Five Talents. Sampson grew up in an agricultural community amidst fields of maize, coffee, pineapples, and beans. While there are a few larger plantations in the region, most residents of Sampson's community are small-scale farmers. They struggle to eke out a living and meet basic financial needs. Many keep poultry or livestock to feed their families. A few sell in the local markets, but many business opportunities are yet to be explored. Development and escaping poverty are on everyone's minds. With few formal jobs, lack of capital, and limited financial services, many young men in the region don't think small businesses can work. They turn to crime. Unemployment and alcohol abuse are rampant. Sampson's story took a different turn. At the encouragement of friends and his local church, Sampson joined a Five Talents savings group. Here he learned financial management and business skills. He also gained access to savings and loans. 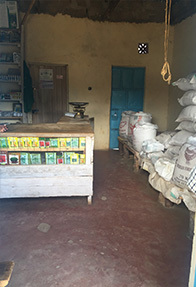 With advice from his group leader, Sampson took a loan of 50,000 Kenya Shillings ($500) from the community savings and used it to buy a small business for animal feeds. He began sourcing and selling products to small farmers, quickly paying back his loan and using profit to further develop his business. Many of his neighbors were losing animals to disease or malnutrition. Sampson hopes to help these farmers protect their assets and strengthen their community. Last year, Sampson took a larger loan of 120,000 Kenya Shillings ($1,200). He has been faithfully paying back and continuing to grow his business. Sampson has also been using his profits to construct and develop at home. "I hope to do big things through our bank", he says. The Thurunguru Community Bank is the third community bank opened in partnership with Five Talents and the Diocese of Thika. Its members now have access to a variety of financial services including savings accounts and educational, business, and emergency loans. The community bank is a source of pride and signals new opportunities for the residents of Thurunguru. Learn more about Five Talents programs in Kenya and help more entrepreneurs like Sampson. Make a gift to Five Talents today! Photos (from top) by Joseph Paulini: Sampson welcomes bank and community leaders to his shop, Sampson serves customers, A collection of animal feeds ready for sale inside the shop, Members of the Thurunguru Community Bank Make a Transaction. Established in 2007, the Mama Bahati Foundation (MBF) now serves over 5,000 women across Iringa and Kilolo regions in the southern highlands of central Tanzania. MBF was founded by the former Archbishop of Tanzania, Donald Mtetemela, after he met a lady called Mama Bahati who was struggling to make a living selling bananas in Iringa. The high interest rates she was forced to pay to buy the bananas wholesale on credit meant that making ends meet was nearly impossible. The Archbishop lent her a small sum at a much fairer rate of interest so that she was able to increase her profits, feed her family and repay the loan. Soon after this encounter, the Archbishop appealed to Five Talents, asking for support in establishing a microfinance project in Iringa, and MBF was born. The Mama Bahati Foundation focuses its services on women who are typically even more marginalised in rural society than the men. Since the women typically bear responsibility for feeding, educating and caring for children, supporting women through microfinance means supporting the whole family. Enabling women to become financially literate income-earners can also empower them within the family and community. Learn more about our programs in Tanzania. Virgnie has five children but until recently none were able to attend school. Her eldest child never even set foot in a classroom because the family's financial conditions were so difficult. Like many in central Burundi, Virgnie faced extreme poverty. When Virgnie joined the Five Talents financial literacy program, however, things began to change. "My status changed when I joined the savings and credit group. I am so glad because now I can send my children to school." After learning basic financial literacy and business skills, Virgnie was able to access a small loan of $14 from her savings group. She used this loan combined with the knowledge she gained in her training to begin selling cassava, banana and vegetables. Eventually she began providing produce to two local restaurants. "With the profit, I have improved my family life", Virgnie says. During the first year of her new business she was able to send two of her children to school, covering the school fees as well as the cost of uniform, shoes, and stationaries from her profits. Virgnie hopes to expand her business and plans for her other children to join school in the near future. Her neighbors have taken notice of the change and began asking her for advice. "I am a role model in my community and even my neighbors have [now] joined savings groups", Virgnie says. Walk with us and help more women like Virgnie build a brighter future for their families. Click here to donate now. Jeanine is a mother of three from rural Burundi. For years, she struggled to provide an income for her family by selling green vegetables at a local market. Before joining a savings group, Jeanine admits that "my business was not well planned." What was life like before joining a savings group? "My life situation before joining the program was vulnerable because I was discriminated and rejected by my neighbours. I was suffering from lack of money to buy food, clothing for my children and I was very poor and I feared to be with other persons." What type of training have you received and how has it affected you? How has your life changed since joining the program? "My life since joining the program has changed [through] increased household income for my family. I became a business mother." "Now I sell banana juice and I get benefit in order to satisfy my family's [needs]. Now I can buy high quality clothes for my family. . .school materials. . .and even gifts [for] birthdays and Christmas. . .My family is able to plan for medical fees and [for] ceremonies and social activities in the community. . .My business is progressing and transforming the community." What are your hopes and dream for the future? "My hopes and dream for the future is to improve my business and become a shopkeeper. [I want to] continue to involve other women in business activities, and [help them] make decisions about household income and an efficient participation in family life." Help us empower more women like Jeanine. Learn how you can impact families across Eastern Africa. Rose sells garments and shoes at a market stall. To purchase much of the stock in her stall, she took out a loan of 20,000 KES (US $200). While this may not seem like a lot of money, it is a colossal figure for many small business owners in Kenya, especially for those who lack access to banks and financial services. Rose estimates it will take her about 10 months to repay the loan. Members of her savings trust group, encourage her during their weekly meetings. Group members share advice, discuss their businesses, and help market one another's work. They also learn vital skills in business management and development. Without the loan, Rose says that she would not have been able to open the market stall and provide a livelihood for herself and her young son. 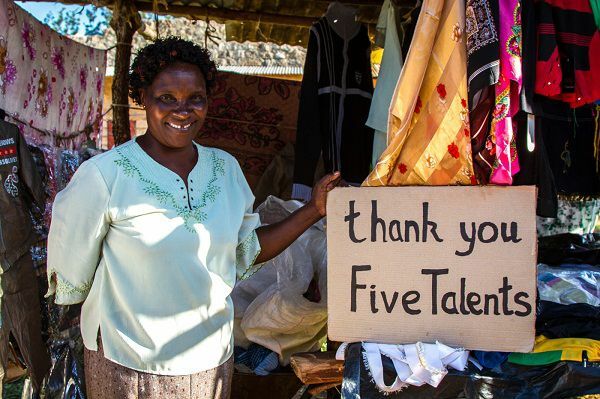 When you support Five Talents, you help entrepreneurs like Rose build a brighter future for their families through training, mentorship, savings, and community development. Make a gift to Five Talents today and create a better tomorrow for entrepreneurs and their families. Chandra has been a member of a Five Talents savings group in Indonesia for over five years. After losing her low-paying job at a local factory, Chandra struggled to support her three children. "I got laid off. I still remember at that time our family could not depend on my husband as he did not have regular income. I had no choice but to buy a sewing machine and started to receive anyone who wants to have their clothes altered." Chandra worked hard to develop her business. Through Five Talents local partner, GERHATI, she received business development training including simple lessons in bookkeeping, marketing, creating a business plan, product development, and promotion. As a member of a small savings group, Chandra also gained access to business capital through loans. While traditional lenders in the area charge interest rates of up to 800%, GERHATI's small groups offer business loans and cover the lending costs through value added training and skills development, paid for by the groups themselves. As Chandra's business grew she dreamed of sending her eldest daughter to college. "We are not the rich who can bequeath things to children. I can only give her education." With her most recent loan, Chandra purchased two refrigerators and began selling ice cubes. The expanded business has brought new income and opened new opportunities. "This job enables me to send my first child to college", she says with a smile. "I'm proud of my wife. She is wise and she teaches children to be spiritually strong and to work hard. We are glad that my daughter is graduating soon." Five Talents is helping many like Chandra to access savings groups, loans and business training. Members gain knowledge and resources to start new businesses and build income. Learn more about Five Talents' programs in Indonesia. This week, a small group of Five Talents advocates and supporters are in Burundi to visit with some of the women and men who have joined savings groups and are receiving training in basic business skills, thanks to Five Talents' local partner in the country, Mothers' Union Burundi. Here, photographer Ross Oscar Knight captures a few moments before, after and during a savings group meeting that he and others on the trip were able to observe. Many of Five Talents and Mothers' Union's savings groups in Burundi hold their meetings in community churches like this one. At every meeting, group members add to their savings. It is from this collective savings that group members may, in turn, access micro-business loans to support and expand their income-generating activities, such as buying salt in bulk and selling it to members of their community. The size of the microloans and the interest charged on the loans are agreed upon by the individual groups, which adopt a group "constitution." One of the benefits of Five Talents' group savings model is that members have peers who can encourage them, advise them and support them both emotionally and spiritually. Every group member also receives training in core business skills, like accounting and marketing. Many of the women and men who are part of these groups, never had the opportunity for an education. Before joining the savings groups, these women and men are taught how to read and write as well as how to do math for small businesses. This training is coordinated by Five Talents' partner Mothers' Union. For every savings group member served, up to seven people in their household benefit: financial management skills are passed on to children and spouses; living conditions improve when savings group members use their profits to install a new roof; parents are able to send their children to school. Want to find out more about Five Talents' micro-savings, lending and training program in Burundi? Click here to learn about the difference you can make. If you were to ask 56-year-old Celestina about her life during a visit to the marketplace in Tarija, Bolivia, you would not have to wait long to hear about her children. She'd probably tell you about her daughter Romina's continuing education. With a twinkle in her eye, she'd no doubt brag about her grandchildren. Celestina would also be sure to mention the house she has been building, brick by brick, with the profit from her micro-business. "One day," she says, "I will finish building my house." Celestina's house is a great picture of what happens when a woman or man joins one of Five Talents' programs. When they learn to save money, invest loan capital in a micro-business, and participate in training workshops, their whole household is transformed. Children are able to attend school. Extended family and friends benefit, as the group member's new knowledge trickles down into the community. Often, the household's living conditions improve as well – there's more food and better shelter. Over time, an entire family's life begins to change – little by little, brick by brick. Your donations, prayers and advocacy are the bricks that build the house of transformation. When Celestina found Five Talents and our partner organization in Bolivia, Seeds of Blessing, she had already launched several micro-enterprises. Celestina had first sold bread before moving on to corn. For a while, she was earning a decent profit from the micro-enterprise and began using some of that profit to build a house. But then unexpected costs began stealing from her profits. She'd not yet learned to save, and so her work on the house stalled. Worse yet, she no longer had money to invest in her business. "I was worried because I needed to increase my capital in order to have more profit," Celestina said. In desperate need of a loan, she turned to Five Talents and Seeds of Blessing. When someone like Celestina joins a savings group, your donations help to provide loan capital, a safe place to save, and training in core business skills. In Celestina's case, an initial loan of $40 helped her to get the business back on track. "The group gave me a loan, and with it I bought things that I needed," she said. "Now, I am selling more items, including corn, chilies and peanuts, and with what I earn I can finish building my house." The impact of your support, however, extends far beyond the direct beneficiary, and this is part of what makes Five Talents unique. Women like Celestina are not just getting a one-time loan, paying it back and going on with life. They are joining a community whose support and training inevitably trickles down into the lives of family and friends. One of those in Celestina's life who has been impacted is her daughter Romina. "I really admire my mom because she works very hard to build the house -- she wants the best for her family," Romina said. "She wakes up early to go to the market to sell, and she goes to bed late because we have to cook the corn and prepare the vegetables." In fact, it's because of Celestina that Romina decided to join a savings group. She has now become a reliable partner in her mom's business. "When I had my baby, she supported me a lot. She wants me to continue studying, and learn to be a good mom," she said. "Now, I go with her to the market to sell, and some days she stays at home to rest. "She has been a good teacher to me. She always tells us that we should save and that we don't need a lot of money to begin a business. I give thanks to God because she is a great mom." Little by little. Brick by brick. Such is the pace of transformation in towns like Tarija, Bolivia. But that transformation is real – and it extends across generations. There are individuals like Celestina in every one of our programs. Some have already been working hard at income-generating activities but need the boost of a low-interest, micro-business loan. Some lack training and support and need mentoring. All have family members and friends who are depending on them. Little by little, brick by brick, households are being transformed – thanks to friends and supporters like you. Please prayerfully consider making a donation today and help more women like Celestina. NAIROBI, Kenya -- I saw a miracle yesterday. I've been in Nairobi attending the second GAFCON Conference with a number of fellow Five Talents Board Members and leaders, meeting many of our clients and partners and making new friends. We took a day away from the conference yesterday to drive up to Thika to visit the Thika Community Development Trust, a savings group sponsored by Five Talents. Under the guidance and leadership of Bishop Gideon Githiga, and the direction of Peterson Karanja, Program Director, the Trust has grown dramatically from its modest beginnings in 2005. The program now has almost 5,000 members, 41 savings groups, and over $1 million in accumulated savings. The program is being acknowledged a great success, and is already being replicated in one adjacent diocese, with two more dioceses planning to launch similar programs. I spoke briefly this morning with Archbishop Eliud Wabukala, the Primate of Kenya, who spoke highly of the Thika program and said that he hopes that they will eventually have similar programs in every diocese in Kenya! Exciting as this is, Five Talents has always been about more than numbers. Indeed, there are numerous microfinance programs in existence that can boast growing membership and good financial performance. However, Five Talents has always had a commitment to reach the "riskier, poorer, and smaller" areas that have been underserved by commercial programs, and has maintained a focus on the whole person, rather than just financial performance. And by that standard, this program is even more impressive. I had visited Thika twice before, and had heard Bishop Gideon state previously his commitment to microfinance as a key part of ministry in his diocese. But yesterday I heard firsthand the testimony of a parish priest, who stated that families in his community had grown stronger as a result of their participation in their savings group, and that their prosperity and well-being had increased to the point that they were able to meet their own needs, and were able to contribute more to the life of the church as a result. One outcome of this development has been that the congregation is better able to support itself and the diocese, including greater material support. Bishop Gideon had previously told me that he could tell which of the parishes in the diocese had active microfinance programs, because they became healthier parishes. But this firsthand confirmation extended all the way to the individual family! Their goal is to expand until they have a savings group in every parish in the diocese. I saw Bishop Martyn Minns last night after returning to Nairobi, and told him the story of the day's events in Thika. I reminded him that Five Talents was started at his house just 15 years ago, and has grown from that outlandish vision into a ministry that last year served 72,725 clients around the world, and is living out daily its commitment to "create jobs, fight poverty, and transform lives". I feel amazingly privileged to be a small part of this ministry, and am thankful beyond words for having been able to witness this miracle unfolding! To God be the glory! Jim Oakes, a 30-year veteran of the health care information systems industry, is on the Five Talents USA Board of Directors. Hop on a bus heading out of Kenya's capital, Nairobi, and you'll soon learn one reason why formal savings and lending opportunities are often hard to come by for women and men living in poor, rural villages. The further out you go, the fewer banks there are – until you get to a village like Thungururu, where there's no bank at all. According to Martin Givachu (R), a local teacher who is chairman of the Thungururu Savings Trust Group established by Five Talents in partnership with Thika Community Development Trust (TCDT), the village was the last settlement within the region to receive a proper electricity supply. The lack of infrastructure and development in Thungururu is due, in part, to the fact that the most profitable cash crops – like sweet potatoes, tomatoes, and flowers – are not grown here. Martin said the villagers mostly rely on subsistence farming, growing fruit and grain and rearing poultry on a small scale. Without the savings trust group that Five Talents has helped to establish, villagers would have to travel by two matatu (minibuses) in order to make use of banking facilities. What's more, once at the bank, the villagers would have to pay fees both to set up an account and to make a withdrawal. ''This is a big problem here," said Martin, "because in addition to the time spent traveling to Thika or Matu, it would cost 600 KES (US $7) [to set up an account] – money which villagers do not have available." 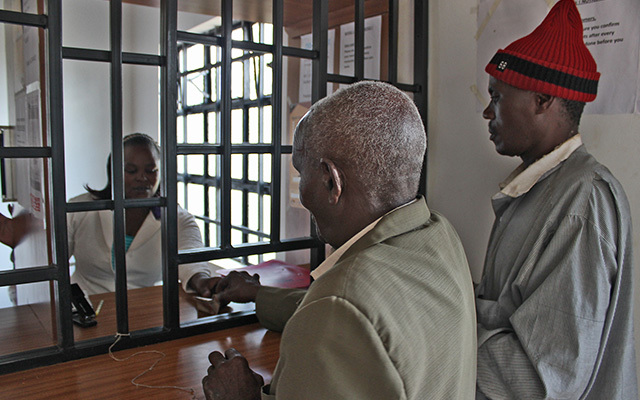 Banks in Kenya – and in many countries throughout the developing world – do not like to handle small accounts, largely because of the expense of running them, write MIT Professors Abhijit V. Banerjee and Esther Duflo in their book, Poor Economics. "Deposit-taking institutions are heavily regulated, for good reason – the government is worried about fly-by-night operators running away with people's savings – but this means that managing each account requires bank employees to fill out some amount of paperwork, which can quickly become too burdensome, relative to any money that the bank can hope to make from these tiny accounts." In the future, Five Talents hopes to upgrade the savings trust in Thungururu to a full community bank, which would offer a wider range of banking services within this marginalised rural community. ''Not only would this benefit our current 105 active members, but we could also expand our operation and serve the whole community," said Martin. 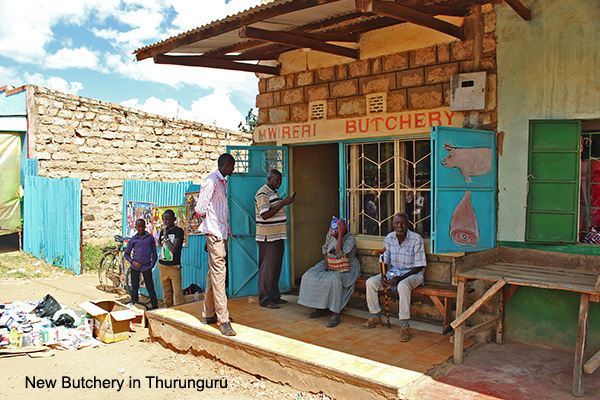 The rural village of Thungururu, Kenya was the last place in its region to receive proper access to electricity. Rose, a member of the Thungururu Savings Trust Group, sells garments and shoes at a market stall. To purchase much of the stock in her stall, she took out a loan of 20,000 KES (US $234). She estimates it will take her about 10 months to repay the loan. Without it, she said she would not have been able to open the market stall and provide a livelihood for herself and her young son. This is one of the garments that Rose has on display in her stall. A boy without shoes runs through a field in Thungururu. Special thanks to Five Talents UK Program Manager Rachel Lindley. Photography by Adam Dickens. Like most of the community banks Five Talents has helped to found, the one in this photo by Adam Dickens started as a local trust (or savings) group in the Kenyan village of Kairi. Five Talents partners in Kenya with the Anglican Diocese of Thika and the Thika Community Development Trust (TCDT). For almost seven years, a high school teacher named Susan Kamani has served as the chairperson of the trust group-turned-community bank. The bank is open to everyone in the community and now has 753 members. According to Kamani, the village and the surrounding area has in recent years suffered from a drop in world coffee prices. As a result, many small farmers are abandoning coffee planting and turning instead to small-scale dairy or poultry farming as a means of generating income for their family. Five Talents' program in Kenya has achieved a maturity and a sustainability that we desire for every one of our programs. Learn more about Five Talents' programs in Kenya. Photo by Adam Dickens for Five Talents.